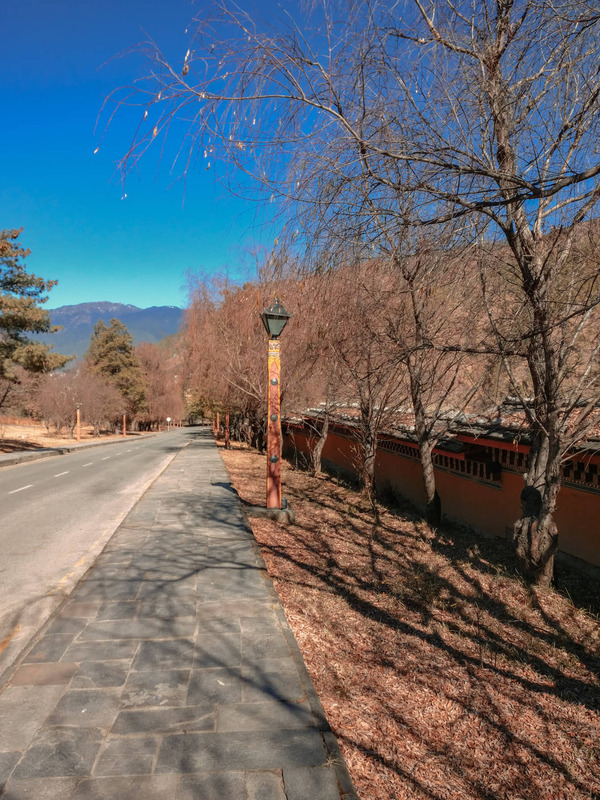 The Land of Dragons, the beautiful Kingdom of Bhutan, is a much loved international travel destinations for us Indians because of the absolute ease with which we can wake up one morning and decide to walk right across the border! As I type this, I come to an end of my 6th day in this beautiful country. Sitting in a comfy room in a traditional Bhutanese home in Punakha, I now reminisce how everything was not all easy peasy lemon squeezy during my first few days here as I had to run around helter skelter in search of permits to make sure my further travel plans go smoothly. So here are a few tips and tricks to avoid the confusion during immigration- with restricted zones requiring Special Permit in Bhutan, to the documents needed upon entering Bhutan, I try to cover it all to help you have a better experience at immigration and acquiring tourist permits in Bhutan than I did! The Immigration Office at Bhutan in Phuentsholing requires you to produce a copy of your hotel booking of at least the first night. So make sure you book your stay in advanced to avoid any last minute hassles at the Immigration Office. Indians need to produce either their passports, or their Voter ID cards. Indians, Maldivians, and Bangladeshi people have it relatively easy while travelling to Bhutan. They don’t need to pay the 250 USD daily fee that each tourist travelling to Bhutan must pay. The people from these three nations don’t even need to apply for a visa beforehand. All they need to produce is either their passports or their Voter ID cards to get tourists permits. Don’t be fooled by agents pretending to be Immigration officials. All government workers and officials are required to wear the traditional Bhutanese dress as a rule. But when you enter the Immigration Office, there are several men (or boys) dressed traditionally, who offer to help tourists through their immigration process. But what they don’t mention up front is that they will charge you for their services later on. In our case, one man helped in doing everything- from standing in queues, to getting our documents photocopied. And I won’t deny, it became quite easy for us because we didn’t have to do all the running- just follow his instructions, but we were quoted 500 rupees per person at the end of it. We negotiated and ended up paying 700 rupees total for the both of us! If you are an unmarried couple, or travelling solo, you might face some difficulties. Although most Bhutanese marriages are love marriages- and not arranged, they were, for some reason, not able to grasp the concept of an unmarried adult couple travelling to a different country at their own will. We were thrown off with skeptical looks by the Immigration officials, and were finally asked to show a written undertaking by our parents that they knew we were travelling together- and consented of it. Even though we are both adults! And since we were not working, and were students, we were also required to show our college ID cards. I also heard they trouble solo travellers in a similar fashion- and women solo travellers especially. So it’s better if you get a written letter by your parents/ guardian beforehand- as embarrassing as it may be- to avoid to fuss during immigration. Your initial tourist permit will only be 7 days long. As a rule, every tourists only gets an initial permit for seven days only. 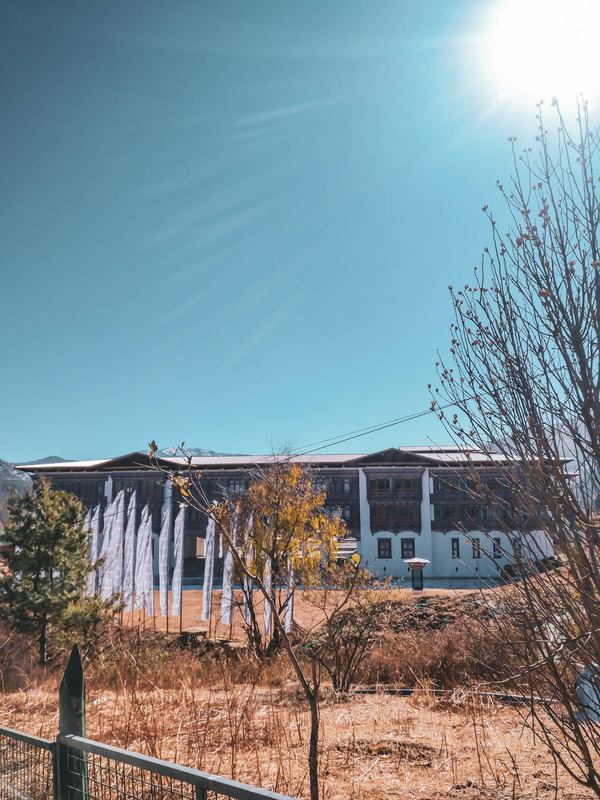 If you have planned a longer stay in the country, you will have to visit the Immigration Service Counter in Thimphu to apply for an extension. It does not take much time, and is merely a formality that all tourists must go through. You will need a special permit for visiting some restricted areas in Bhutan. Apart from Paro and Thimphu, all other dzongkhags or districts in Bhutan are considered restricted for tourists. To be able to travel to places apart from these two, one must acquire a special permit from the Immigration Office in Thimphu. Again, this is not a difficult process and is in fact, just a mere formality. Exchange your money only at the Immigration Office. A number of money exchange shops near the Immigration Office have propped up but we were advised to not get our money exchanged from here as they either charge a fee upon converting back to Indian currency, and some are even infamous for issuing counterfeit currency. There is a counter inside the Immigration Office itself that converts your currency into the Bhutanese ngultrum free of cost, after producing your tourist permit. You can also get your ngultrums converted back to your original currency free of charge. Just make sure you keep the receipt given by the money exchange very carefully as you will need this while converting back to your own currency. All Bhutanese shops throughout the country also accept Indian rupees in denominations lesser than 500. So if you wish, get only 500 and 2000 rupees notes exchanged, and just use Indian currency otherwise. Bhutan has only two service providers, B-Mobile the government run provider and Tashi Cell the private counterpart. I hear both of them work equally good, and their plan costs are also similar, Tashi Cell being just a tad bit more expensive. But where I am at Punakha, in a small village located on a hill, B-Mobile works as good as at any other place, but Tashi Cell is weaker, with only 2G service available here. We got a B-Mobile and are enjoying an uninterrupted 4G speed. Make sure you get your sim card from the Immigration Office too, since the shops outside sell them for 10 rupees more expensive! Itinerary or Tour Plan- it is okay if you have decided to go with the flow and travel without a set itinerary. Just make up a random tour plan and attach it with your documents. This is exactly what our agent did for us, it’s again just a mere formality. Please note: This post is only for tourists holding an Indian, Maldivian or Bangladeshi passport while visiting Bhutan. Visa procedures for other nationalities is very different. Check with your tour agent for details. Previous Post From Dharamshala to Kareri Lake, and Everything in Between!